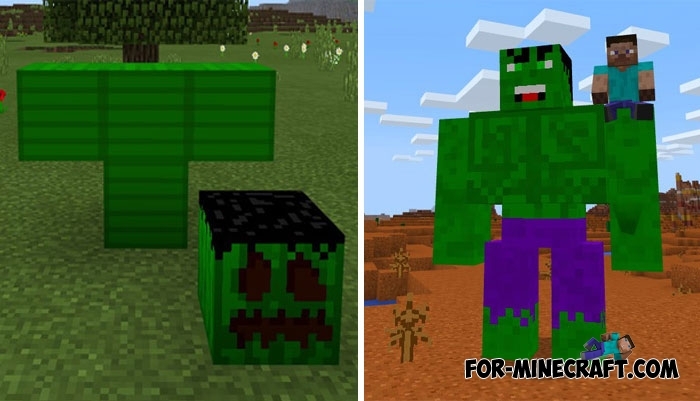 Both characters are enemies and this means that using this addon you and your friend can test who better controls the Hulk or the Hulk Buster. In truth, they have almost identical characteristics, but the Hulk looks more aggressive. This green mutant is fought with huge fists and his skin serves as a protection against any influences. In fact, the hulk in the addon is vulnerable, it has 200-odd hearts of health and very high speed. Only the speed potion can save you from ruin if you touch it. To protect the world from the Hulk, a special costume was created which was very similar to some models of iron man's costumes. The player can perceive it as a robot since this creation can be controlled by you if you sit on its shoulder. 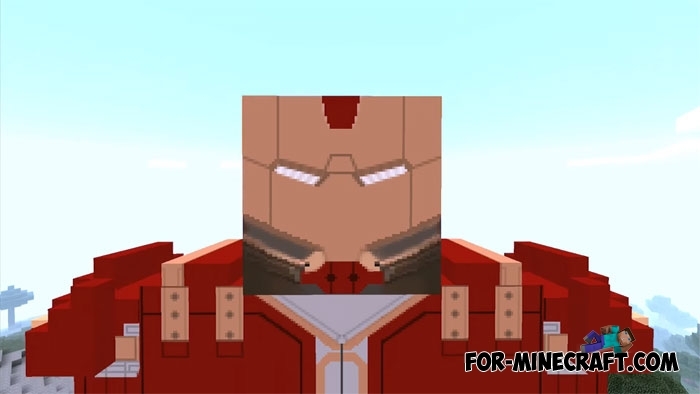 A small surprise awaits you when you begin to control the Hulk Buster, these are several new modes for fighting any opponent but first of all it's the Hulk. You will learn about them when you start the world. The creator took multiplayer into account and added the ability to control both creatures. Just ride one of them and you can fully control the movement and attack. 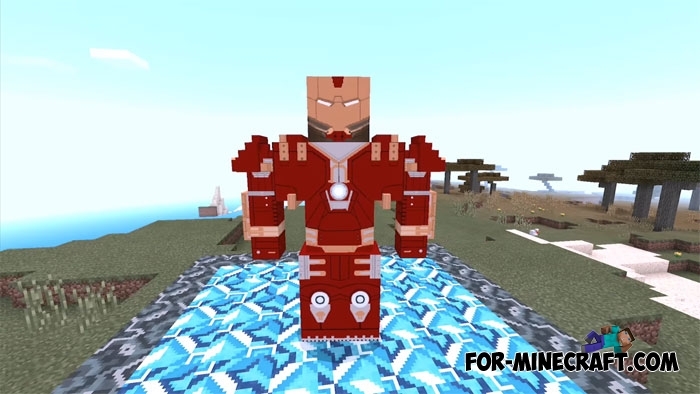 How to install the Hulk and Hulk Buster addon?